These detox teas will not only nourish you with antioxidants and healing properties, they’ll provide calm in an otherwise hectic day. 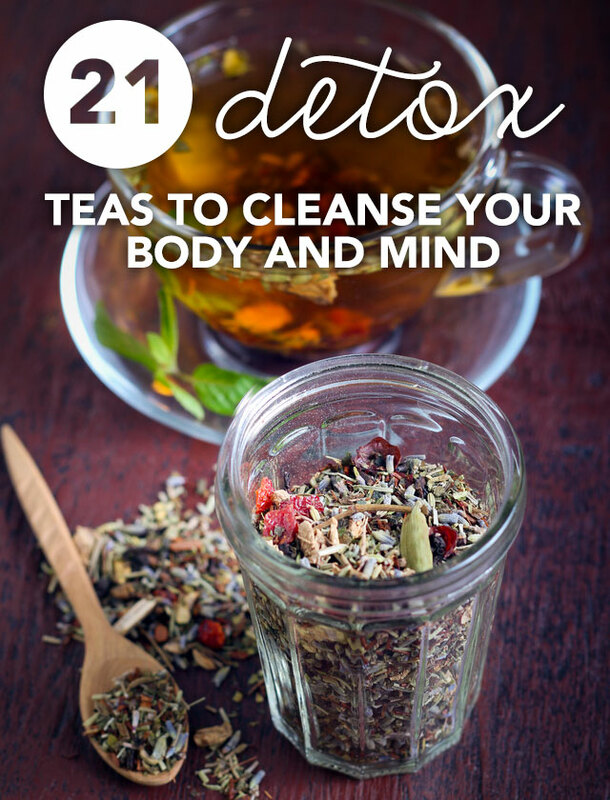 Detox your mind and body at the same time with these cleansing teas. The time-tested teachings of Ayurveda are being proven time and time again by modern science and that holds true for the healing powers in this special tea. Made from fresh turmeric and ginger, there’s also three types of seeds being used coriander, cumin and fennel. Goji berries are one of the most nutrient-dense berries you can eat, and they are the starring ingredient in this tea. They are joined by the dynamic duo of ginger and turmeric, as well as plenty of lemon. 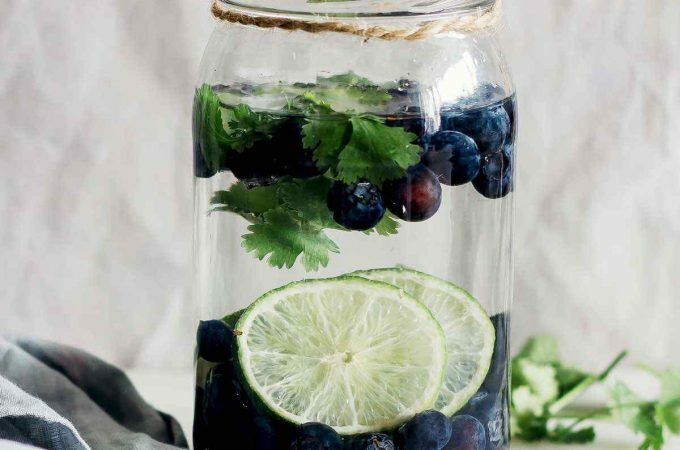 The end result provides you with plenty of antioxidants to fight free radical damage. Dandelion is the ingredient in this herbal tea that will help your liver the most, although turmeric and ginger will help as well. The antioxidants in dandelion help protect and repair the cells of your liver. She also provides a total of 7 additional detox herbal teas each helping a different organ. 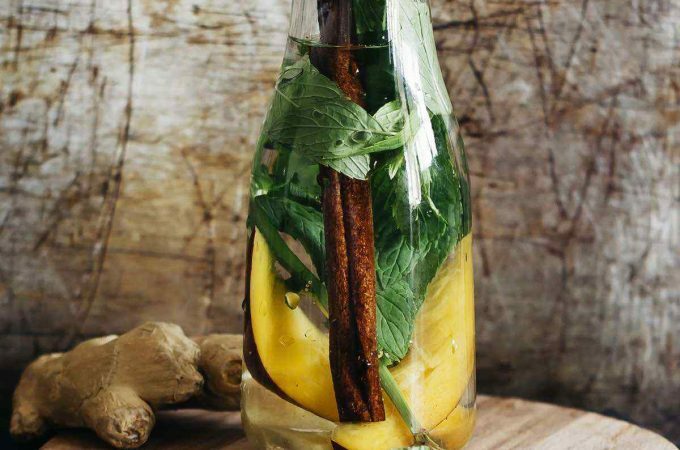 The fresh flavor of basil shines through in this detox tea, and it is paired nicely with ginger. Basil is loaded with antioxidants which are released into the tea for easy consumption. Cardamom will help with your digestion and the ginger acts as as anti-inflammatory. The burdock root in this detox tea will greatly benefit your liver. When you help the liver heal itself it will be able to do its job more easily and in turn will help your other organs function better since they’ll have fewer toxins to deal with. Ginger and lemongrass enhance the flavor. When everyone around you is getting hit by the flu make sure you’re sipping on this winter tea. 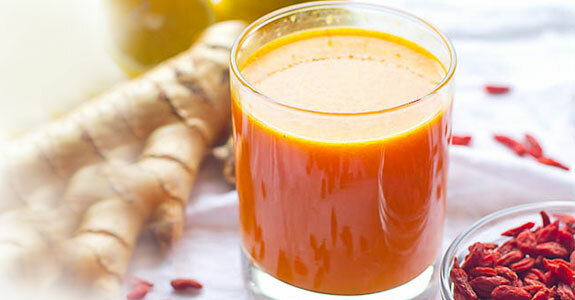 It’s made with ginger as well as fresh cayenne peppers to really warm up your system and provide you with vitamins and antioxidants at a time when you need them the most. 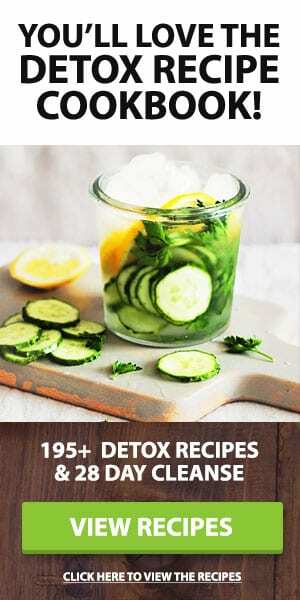 This recipe proves that you don’t need much in order to make a detox tea, and the only two ingredients are mint and the water it steeps in. Mint is a potent source of antioxidants, and provides enough flavor on its own that you don’t really need any accompanying ingredients. 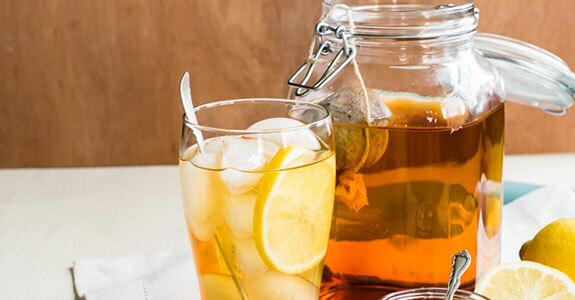 Take an afternoon respite with this lemon ginger tea. It takes vitamins and enzymes from lemon and combines it with the cleansing properties of ginger. The lemon will bolster your immune system with its Vitamin C, and the antioxidants from both will help you feel energized. Turmeric acts as an anti-inflammatory and can help ease discomfort from conditions caused or worsened by excessive inflammation. This tea keeps things simple with turmeric, ginger and cinnamon. Cinnamon has its own healing properties and combines well with the flavor of turmeric. It’s fun to make sun teas because you get to use the power of the sun to help brew the tea. In this healing tea they’re using rooibos tea, which is naturally caffeine free and provides you with a host of antioxidants. It’s also beneficial to the digestive system which is key for an effective detox. 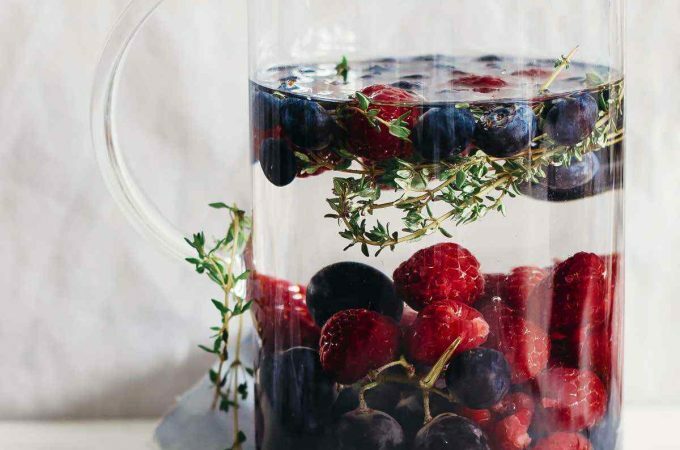 Cranberries and spice combine in this detox tea. Using cranberry juice to treat urinary tract infections is a long-time natural remedy, but you can also use it as a way to cleanse the kidneys. Here they’re pairing cranberries with goji berries and adding cinnamon sticks for flavor. 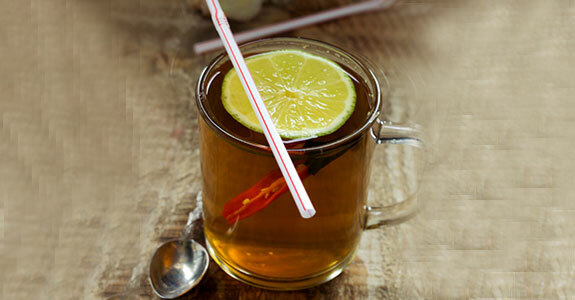 A delectable mix of herbs go into this Alpine tea and each one provides different benefits to the body. Peppermint adds a nice cooling flavor to the detox drink, and chamomile helps to calm the nervous system. Many of these herbs contain powerful antioxidants as well. No need to throw out the stems from the whole cherries you buy. You can steep them in hot water and the nutrients they contain will make it into the tea. 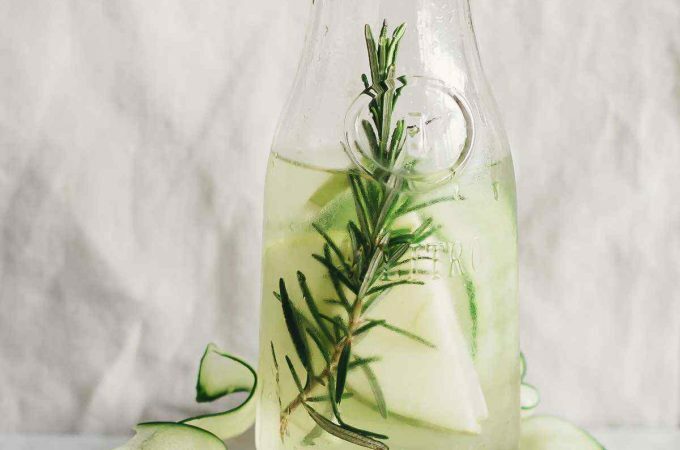 This tea will help keep your digestive system moving so you can make sure the toxins you release make it all the way out. Pomegranates are packed with antioxidants and make for a tasty tea. 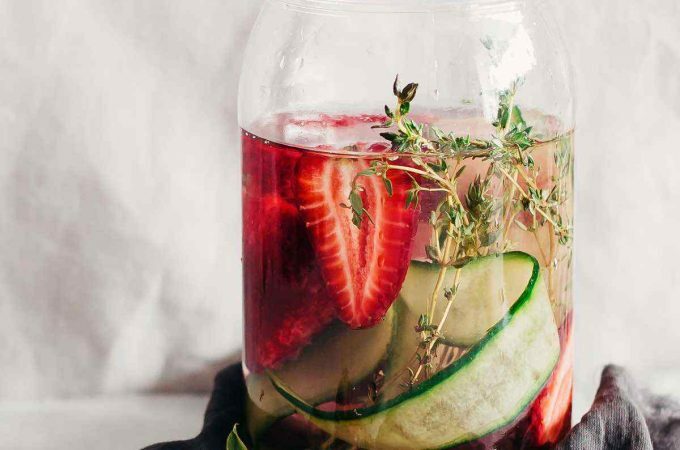 To accentuate the flavor of the pomegranates they’ve added mint and rosemary for herbs, and cucumber as well. There’s also limes which give it a nice tartness and also add in plenty of Vitamin C.
Give your immune system some support with this ginger cinnamon lemon tea. 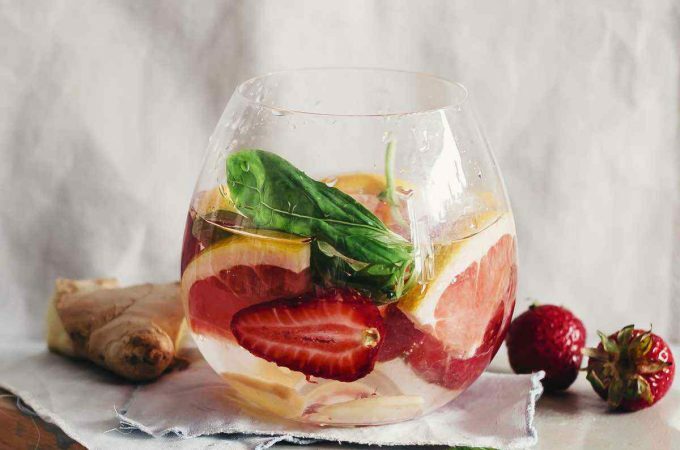 Your body can’t fully detox when the immune system is running at less than capacity, and the vitamins and enzymes from ginger and lemon can help bring it back to its full potential. Look no further than lemon and ginger to provide you with an effective detox tea. They’ve added just a pinch of cayenne pepper to the tea to give it a kick and also to add more cleansing properties to it and can help break up congestion if you’ve been feeling under the weather. 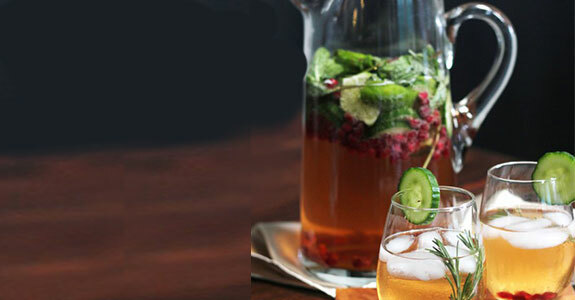 Here’s a wonderful mix of ingredients including hibiscus, cloves and star anise. You’ll also find a blood orange, cinnamon, and allspice so there’s no shortage of flavor. You can add in a bit of raw honey to sweeten the deal and still be helping to detox thanks to its natural enzymes. 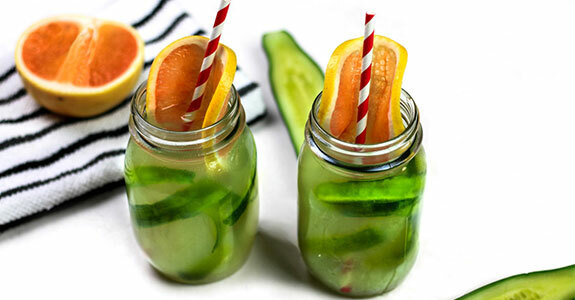 When you’d prefer an iced detox tea over a hot one, go with this cucumber grapefruit green iced tea. You’re getting the proven benefits of green tea combined with the vitamins and minerals in cucumber and grapefruit. Of particular note is the added Vitamin C that grapefruit provides. The calming scent of chai tea can be a detox to the mind, and this herbal tea provides just what you need after a hard day. The use of curry leaves steals the show, but you’ll also benefit from coriander, cumin, and celery seeds. Turmeric and cloves rounds out the tea with extra nutrients. Calming inflammation can actually help you lose weight, and losing weight helps get toxins out if it’s fat that you’re losing. 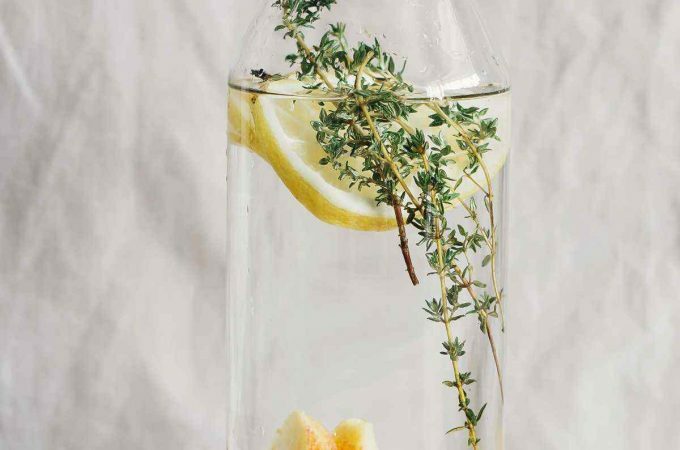 Five amazing herbs go into this tea, and once you have them all assembled it’s simply a matter of letting them soak in hot water for five minutes. This tea can help soothe a sore throat without the need for a medicine just by using natural ingredients like licorice root and ginger. You’re getting the benefits that come from Chinese red dates as well, and all of the ingredients are fresh so you’re getting their full effect.